Most of us work hard all year and may even scrimp on other things in order to afford a nice vacation. It’s our chance to relax and recharge, to play and unwind and, sometimes, to spend time with loved ones without the stress of everyday life. It’s our time to have fun! Let’s start with our favorite. In our opinion, this is simply the best way to vacation! Especially if you’re traveling with children or another couple – but even if you’re simply a party of two – staying in a vacation rental can offer significant travel savings. Even if you still eat dinner at a restaurant and just utilize the kitchen for storing items for breakfast and lunch (think picnics! ), you’re bound to be ahead of the game for meals, at least, and your accommodations may cost less, as well. It just makes life on the road so much easier when you don’t have to go out for every meal and when you have more space to spread out. If you haven’t tried it, you really should. 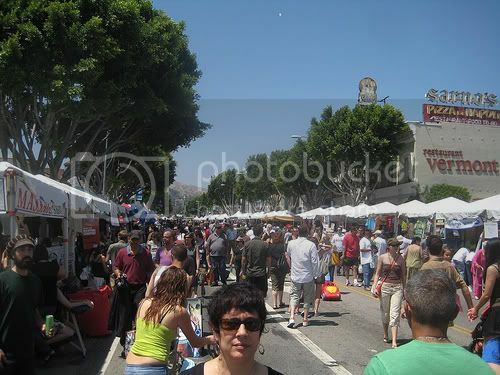 Folks who like to cook may want to do dinner at home, too, so they can sample some of the wonderful foodstuffs available at the Los Angeles farmer’s markets and wine/specialty stores. Vacation rentals are often equipped with a grill, and some even have a slow cooker available – perfect for easy dinner prep while you’re out sightseeing or enjoying the area’s beautiful beaches. If this sort of information isn’t provided on a vacation rental’s listing, simply send the owner an inquiry to find out what’s available, what markets are nearby, etc. Most vacation rental owners we’ve contacted in the past were quite attentive, and it seems like most genuinely hope you enjoy your time at their place. We’ve been enjoying vacation rentals at various California destinations for many years (even before the Internet made it so much easier! ), and we strongly encourage you to give this lodging alternative a try if you haven’t already experienced the many benefits it offers. finally, an either-or choice of: admission to the Hollywood Museum OR a guided tour of the Kodak Theatre (which you may remember from past Academy Awards ceremonies). First, of course, before you hit the road you’ll want to make sure your tires are properly inflated in order to optimize your miles per gallon. You also may want to play around a bit with the GasBuddy website and learn how it can lead you to the least expensive places to fill your tank. Another way to save on the road is to minimize food costs by either bringing foodstuffs with you or by stopping at grocery stores along the way instead of restaurants. If you’re traveling with small children, you may also want to do a little pre-planning to schedule those “picnic” stops at parks and other places that will provide space for them to run off a bit of steam after eating. Something that can really add up is parking at hotels (and this applies whether you’re driving your own car or if you flew into town and picked up a rental car). This daily add-on – along with other similar daily fees that are becoming all too common at hotels these days, like “resort fees” and charges for Internet connectivity – can really add up, and you’ll want to keep them in mind as you investigate your lodging options. That brings us full circle, and back to our recommendation to check out vacation rental options. We’ve never encountered a vacation rental with any sort of add-on fees, but if a vacation rental listing isn’t clear about what’s included and what may be extra, it’s really easy to send an inquiry and ask the owner for further details. 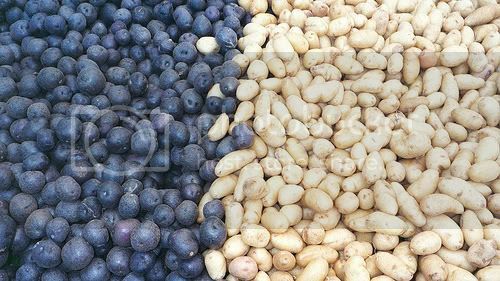 Photo of blue and white potatoes at LA Farmer’s Market by DoGoLaCa via flickr (Creative Commons) and Photo of Los Feliz Street Fair by pena2 via flickr (Creative Commons).